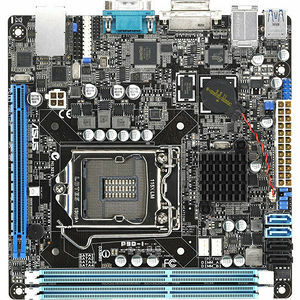 ASUS P9D-I is the mini-ITX form factor serverboard. Despite its diminutive appearance, the P9D-I retains the advantages of other P9D series motherboards including supporting the latest Intel® Xeon® E3-1200 v3 Processor Family with digital power solution and ASMB7 onboard. With the spacing saving advantage, P9D-I is exclusive to meet the diverse applications in small form factor servers, data center, front-end web server (web hosting) and etc.